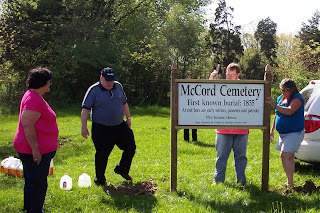 This past weekend was a big one for McCord Cemetery. Meetings and fundraising galore! I'll cover more of those events in a later post. But today I want to start at the end. 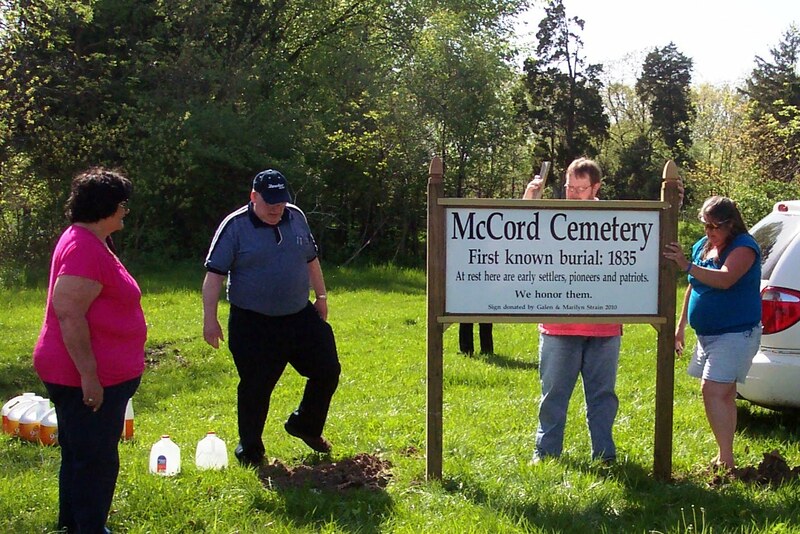 The events of Saturday and Sunday were capped off with the installation of a new sign at McCord Cemetery! 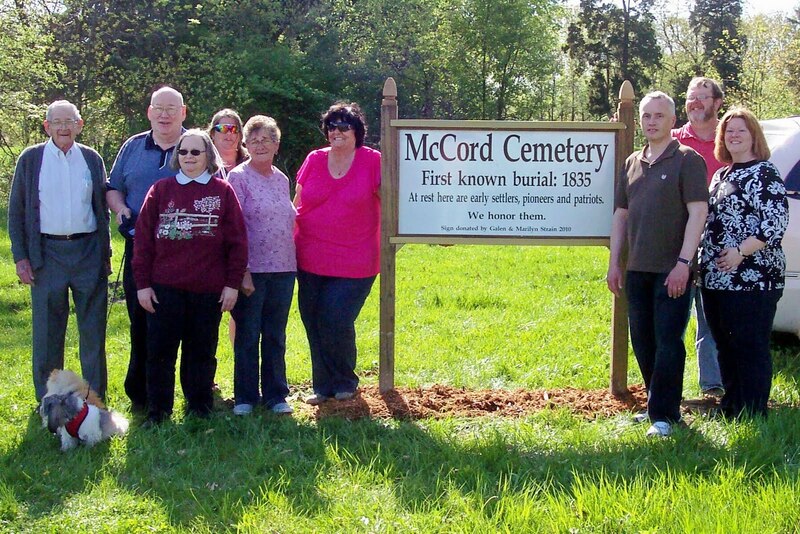 Supporters of McCord Cemetery proudly display the new sign installed April 17, 2010. The sign was generously donated by Galen and Marilyn Strain, and installed by them along with newly-elected members of the McCord Cemetery Association Board and volunteers from Restore McCord. Sign being installed. It was a perfect sunny Spring afternoon. What a ceremonial ending to a ground-breaking weekend. Thanks to all who attended! The old sign had seen better days. This hand-painted piece of history will be preserved at the Irving Area Historical Museum. 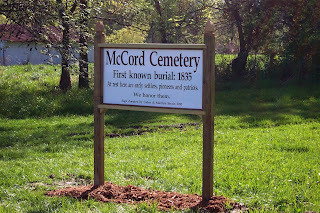 New McCord Cemetery sign. Marilyn Strain planted flowers at the base. They'll be beautiful once they bloom! You can definitely see your enthusiasm in the work you write. The world hopes for more passionate writers like you who aren’t? ¯t afraid to say how they believe. Always go after your heart. 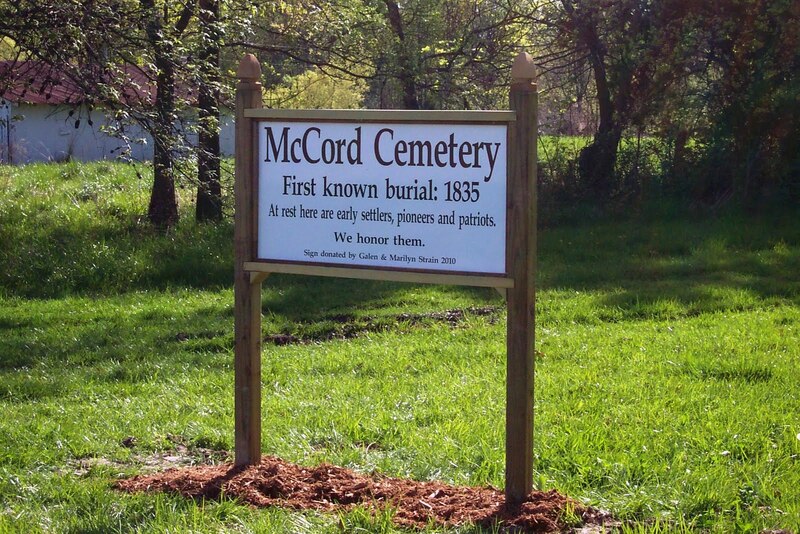 Support Restore McCord with PayPal!